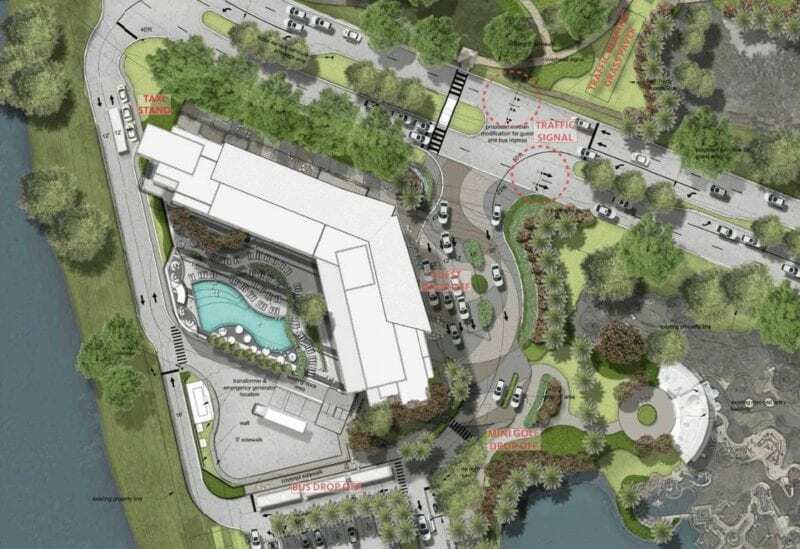 The Cove will be operated my Marriott International (as the Swan and Dolphin are) and will be right along Epcot Resorts Boulevard near the Fantasia Gardens mini-golf course, which is right across the street from the Swan and Dolphin hotels. 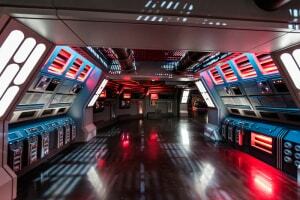 However, The Cove is on a much smaller level than it gigantic neighbors and will focus on groups and events/conventions. 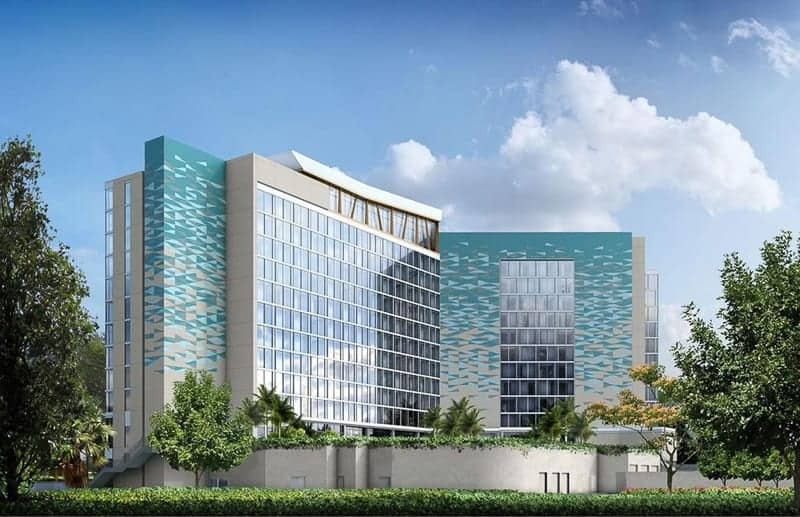 The Cove will have 349 guest rooms and will be part of the total 2,600 rooms that Marriott will then own in that location between the 3 hotels. 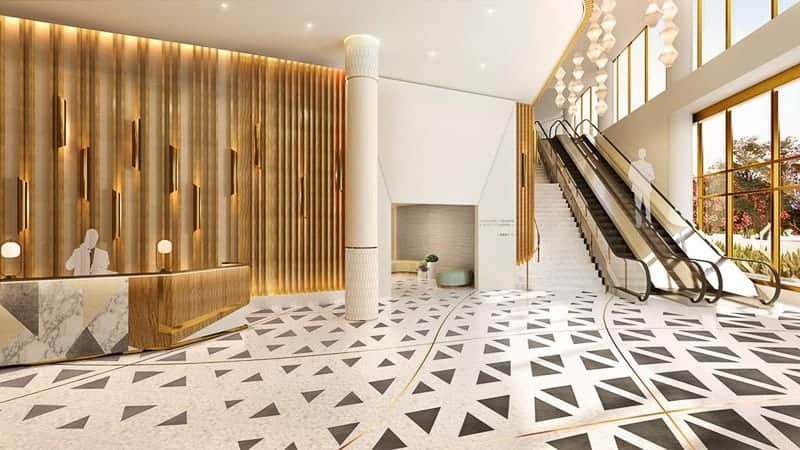 Among the 349 rooms will be 198 standard rooms and 151 high-tech suites aimed at high-end business clients. 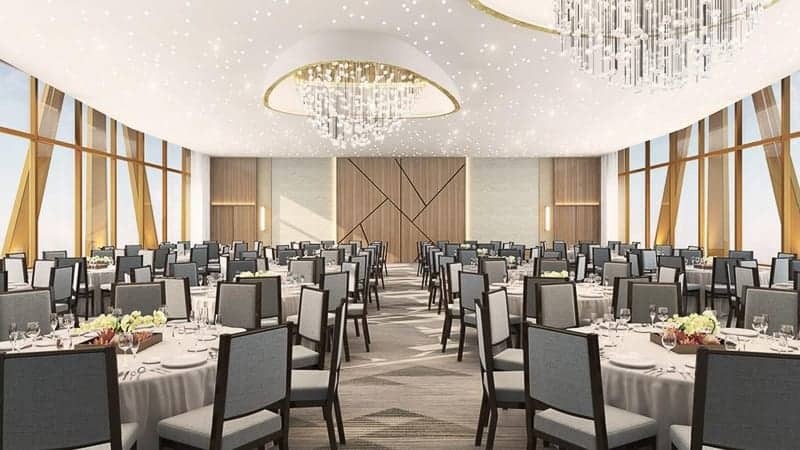 It will have 21,000 square-feet of meeting space, perfect for its clients. There is going to be a rooftop restaurant which will be available for VIP events and groups, and will have amazing views of Epcot and Disney’s Hollywood Studios. “I’m sort of like a dad. 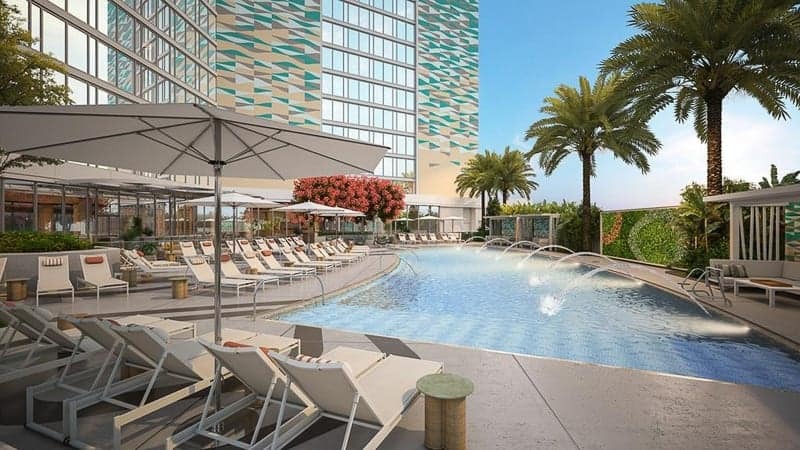 I love the Swan, I love the Dolphin, but the newest baby is going to be something special,” said Fred Sawyers, general manager of the Walt Disney World Swan and Dolphin resort. Sawyers commented on the fact that Orlando is in the middle of an infrastructure expansion with the surrounding roads, airport and convention center all going through upgrades. 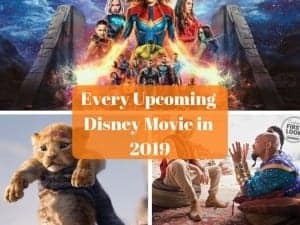 Since tourism in Orlando is at an all-time high with 72 million visitors last year and and the number of visitors is expected to hit 75 million in 2018, Disney is using the occasion to add to its hotel inventory. 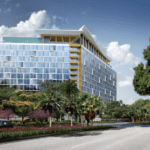 The Cove hotel is expected to be open in less than two years which will bring it in-time for the 50th Anniversary of the Walt Disney World Resort and be helpful in meeting the crowds expected to come in 2021. 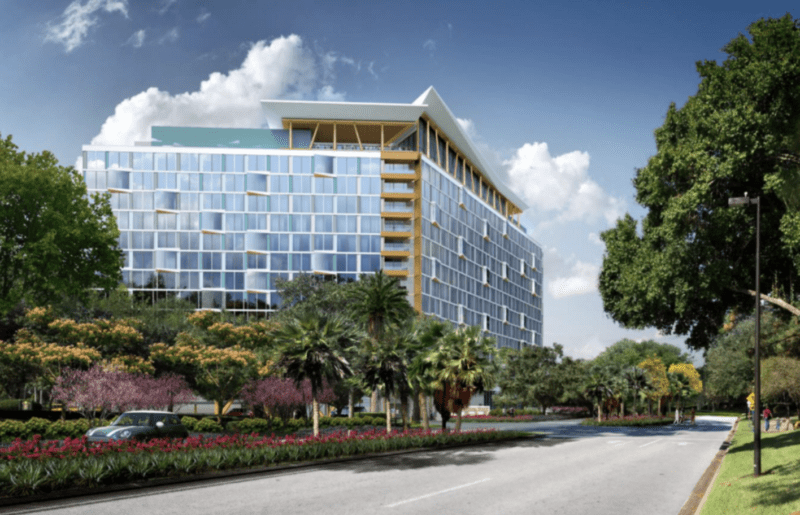 The Cove is just one of the multiple new resort hotels coming to Walt Disney World in the next few years. Disney recently announced Reflections: A Disney Lakeside Lodge, the Gran Destino Tower is now open for reservations and coming in July 2019, the Disney Riviera Resort is not far behind that, and of course the game-changer is the Star Wars Hotel which you might have to sell a kidney or two to get in, but it’s sure looking like it will be well worth it! 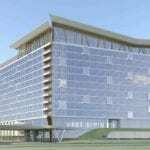 Are you excited about this hotel? 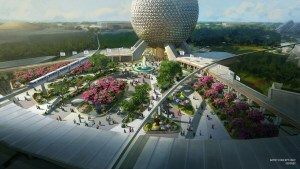 Which new hotel to Walt Disney World are you most looking forward to?